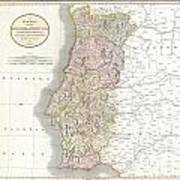 There are no comments for 1811 Cary Map Of The Kingdom Of Portugal. Click here to post the first comment. 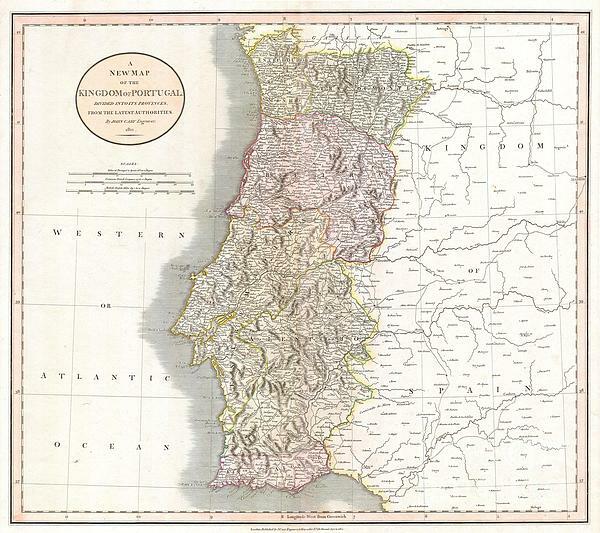 This is a stunning 1811 map of Portugal by the important late 18th / early 19th century Edinburgh cartographer John Cary. Fully depicts the country and its various regions. The popular resort province of Algarve, is listed as its own Kingdom. 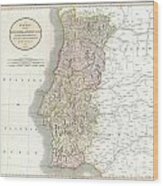 Dated, London, April 21, 1811.